Your book is AMAZING! I have always loved your polymer clay work and your book only serves to magnify how impressed I am. You have put a ton of work and hours into this book, and the pictures, the description and generous sharing of your talents are noteworthy. 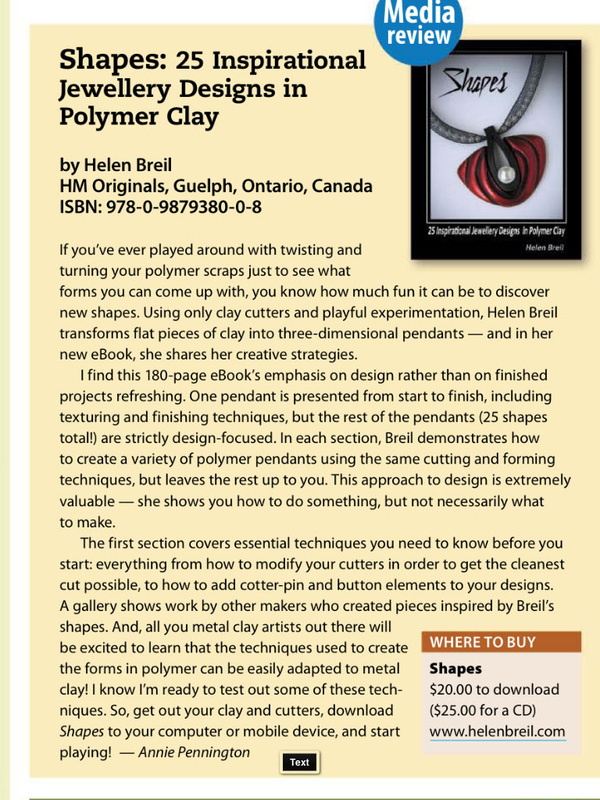 Thank you so much for making this book and sharing it with other polymer clay enthusiasts. P.M. I have devoured it and just want to spend lots of time looking through all your wonderful techniques.The faux faceting and walls techniques in particular are simply brilliant. It’s a very beautiful book and the ideas and techniques are inspirational. To say I like the book doesn't even begin to touch the feelings I have for your book. It is really fantastic!! Linda T.